I really love math myself. I'm not brilliant at it, but I do enjoy it. It saddens me greatly to hear children (and adults) say that they can't do math or that math is boring. It inspires me to want to change that perception. Over the last few years I have discovered that there are many wonderful children's picture books, covering an enormous range of mathematical concepts which can be used to gently introduce students to math and help make difficult concepts more accessible. Authors such as Greg Tang, David A. Adler and Dayle Ann Dodds have all written numerous books suitable for primary students, some of which I will share in later posts. I knew I had to have this book as soon as I saw it. I have a little boy who loves math and he sometimes feels a bit awkward and different because of it. 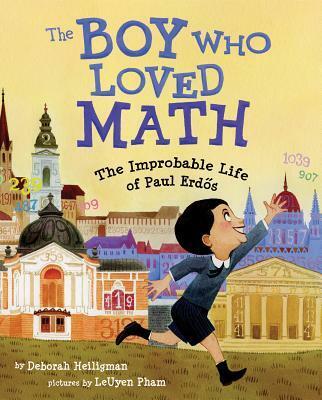 This is the story of Hungarian mathematical genius Paul Erdos, who might provide an interesting choice for young mathematical enthusiasts studying significant people in Year 4. When I handed my son this book I could see him making connections as soon as he saw the cover and read the title. He was grinning from ear to ear and asked if we could read it immediately. We spent a couple of delightful hours together, reading and studying the beautiful illustrations, pulling out sheets of paper and carrying out the simple steps described to find all the prime numbers using the sieve of Eratosthenes. We had not previously known that there were different types of prime numbers, but after reading the pages in the back of the book my son was inspired to do some research and find out even more. It can't get better than that! This is a creative, fascinating book which I am thrilled to have added to my collection!